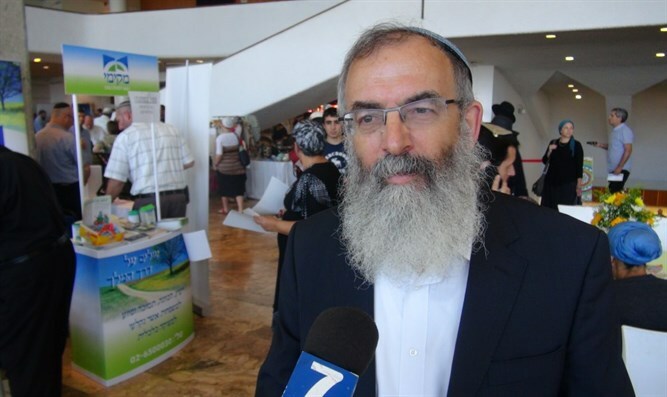 Rabbi David Stav, the head of the Tzohar Rabbinic Organization, told Arutz Sheva that he finds it difficult to understand why the organization's desire to privatize the kashrut market under the Chief Rabbinate is problematic. He wondered why Tzohar receives criticism. "I respect every rabbi in Israel and every talmid hacham (Torah scholar), but I would like to [see] matters put in order. Where were all of these rabbis, when we know that for decades there were hundreds of places which were under the supervision of the rabbinate where people ate nonkosher food?" - in his opinion. "But when someone wants to streamline and improve the system, under the supervision of the Chief Rabbinate, it's a disaster. When we have dozens of [rabbis] operating in places who do not need the supervision of the Chief Rabbinate it isn't a disaster. But when Tzohar wants to be a partner [with the Chief Rabbinate] in the kashrut issue, it's a 'disaster'," Rabbi Stav said. Contradicting the conciliatory words in the interview, Rabbi Stav said Wednesday at a conference of the Israel Hotel Association that there was a need to change the "monopoly of the rabbinate." Tzohar has been critical of the Chief Rabbinate since the organization was established, setting up alternates to the rabbinate's services and unsuccessfully running Rabbi Stav for Chief Rabbi in the last elections. "Monopoly is a bad thing, the franchise can do whatever he wants. We are coming to the rabbinate and the legislator, and we want to change the arrangements by opening up kashrut in order to create competition between the rabbinates. In parallel, we are striving to open kashrut companies in order to produce other alternatives," he said at the conference. Rabbi Yaakov Ariel, the venerable Chief Rabbi of the city of Ramat Gan, told Arutz Sheva: "I hope that everyone will come to their senses and understand that this is a disaster for kashrut, a disaster for the rabbinate, a disaster for Judaism, a disaster for the Torah and a disaster for the Jewish people." Despite his opposition to the move, Rabbi Ariel stressed that he does not believe Tzohar has any malicious intent. Rabbi Stav responded to Rabbi Ariel's criticism by saying: "Because I respect each rabbi, I do not personally respond or attribute any intent or interest [to my accusers], and I will continue to respect every rabbi in Israel, certainly the venerable Rabbis...The love of the Torah and the concern for the kashrut of the state and Israeli society is more important to us than concern for the honor of one organization or another, or of one rabbi or another." A survey conducted by the Chotam organization showed that a large majority of the religious Zionist public wants kashrut to stay under the Chief Rabbinate, although they would like to see improvements in the system. Even among the most liberal stream of Religious Zionists, support for Tzohar's initiative was only 25% of those polled.